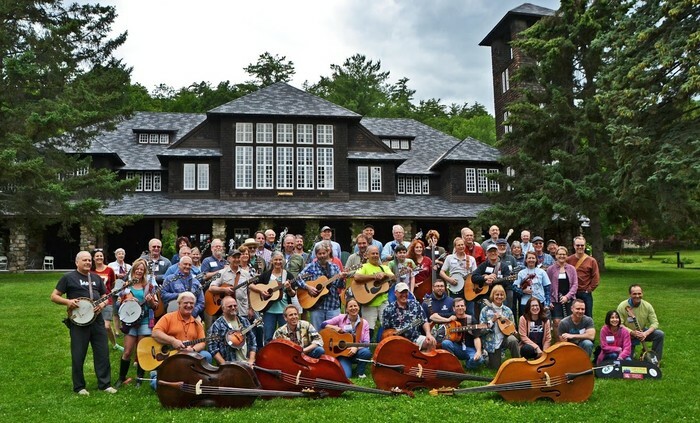 June 21 - 26, 2019 A new type of Bluegrass camp... in an ideal setting! 6th year, great prices, limited space... Don't wait! 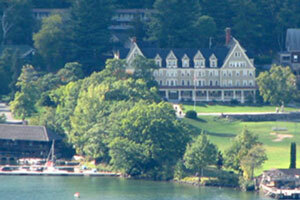 Silver Bay is a large Y Camp and Conference Center, on Lake George in the Adirondacks. For info about the facility, activities, photos of accommodations, visit SilverBay.org. Watch this video of our 2015 camp! 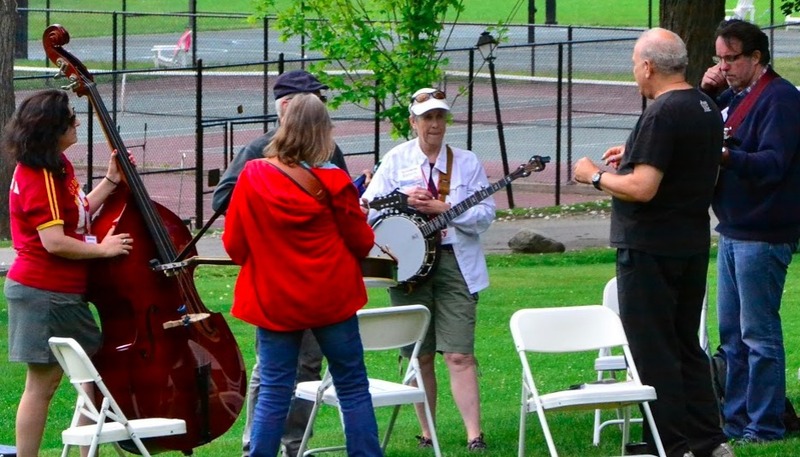 With many thanks to the French filmmaker and banjo player Antoine Porteaux who attended the camp as part of a U.S. bluegrass tour originating in Paris. The film starts with the Europeans' travel to Silver Bay, and the part about the camp starts at 2:03. 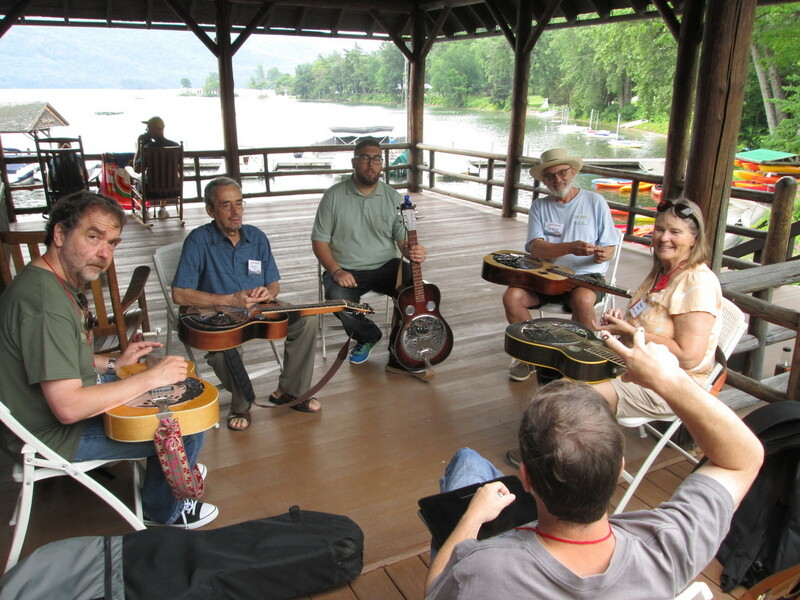 Register for the camp online with a deposit, as with other Wernick Method camps. 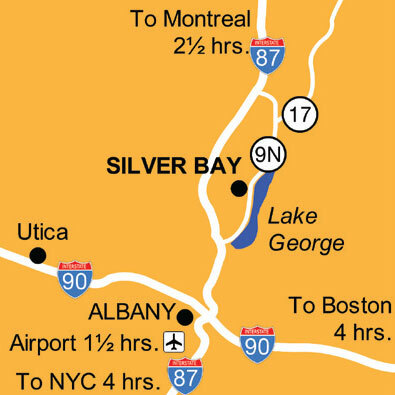 For best selection of on-site housing call Silver Bay soon: 518-543-8833, ext 350. Call any time... Your message left will get a callback during the next business hours. The Silver Bay reservations team will help you with housing choices and all info. Only $425 / $270 for five days! 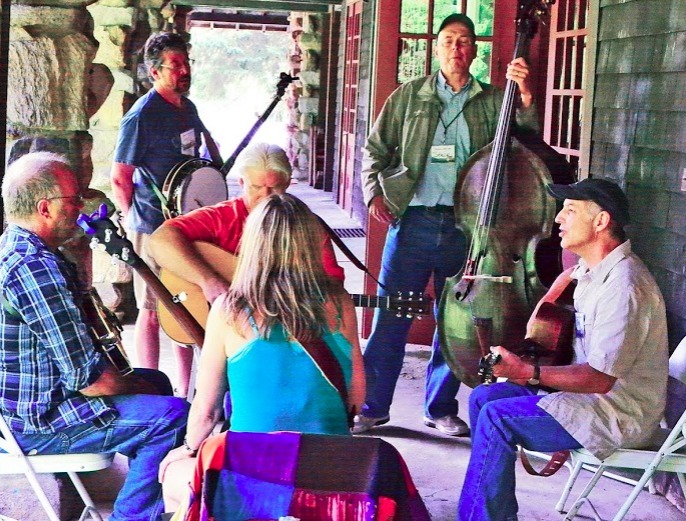 FULL DAY — (includes Afternoon program: 2-5pm, only $155 extra): Daily classes on harmony singing, slow jamming, songwriting, practice “boot camp”, band lab, more! Full performing bands - special discounts! For band members registering together, to work together as a band throughout the week: $75.00 off each member’s registration fee. Band members must first contact Pete as a group, for approval of the group members' band discount, and then they can each register with the discount. Coached hands-on small groups daily. Novices to advanced players welcome! 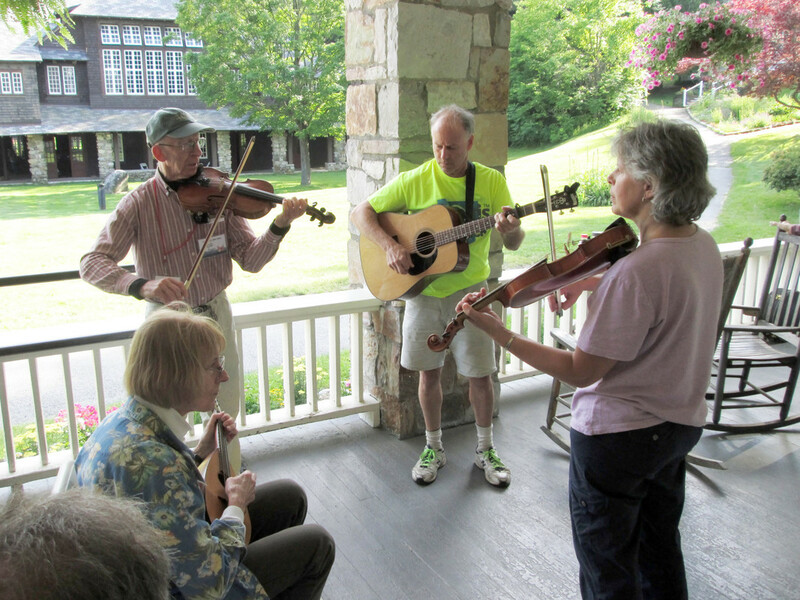 To attend, you must be able to tune your instrument (with electronic tuner) and change smoothly between G, C, D, and A. Fast playing is not expected, nor is the ability to solo required. No tab or music reading. 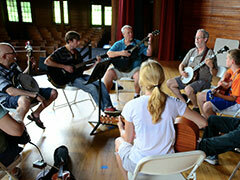 Learn how to follow new songs, lead songs, fake solos, find melodies on your instrument, sing in tune. Learn the number system and jam etiquette. (able to follow chord changes, take simple solos on the fly, willing/able to sing). You will be coached in skill-matched groups. 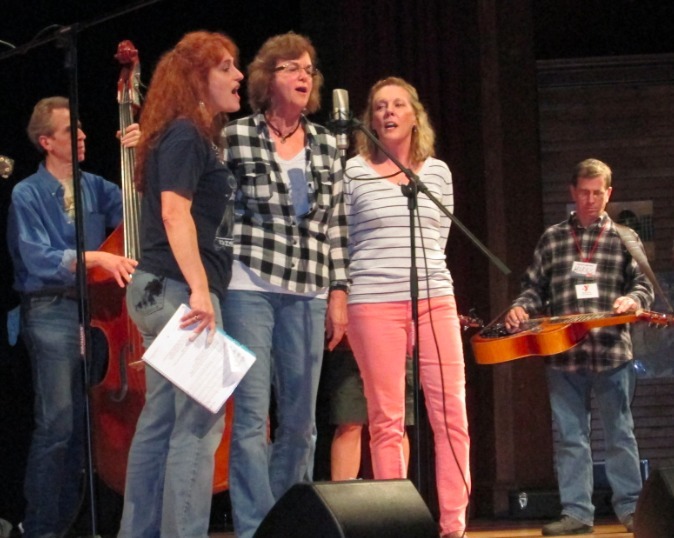 Harmony singing, backup instruction, creating good solos, rehearsed or on-the-fly. "Band lab", band cohesion, rehearsal guidance, stagecraft including working with sound systems, band decision-making, "how to make a band work". Accommodations choices some with private bath, some as low as $60/night. Rate includes all meals and activities. 35-55% off for kids, under 6 free! All-site Wifi. Activities! 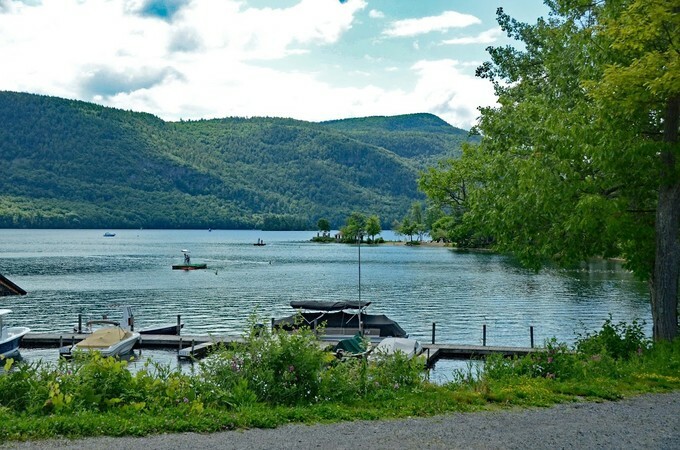 Swimming, boating, tennis, crafts, gym, shop, hiking trails, volleyball, archery, family programs, faculty concert. Licensed day camp every morning. Night fun! Campfires, movies, karaoke, late sunsets. For information on the facility, including photos of accommodations, description of activities, and more, please visit SilverBay.org. We now have $800 scholarships available, for full tuition plus $375 toward accommodations and meals. If you know anyone who "ought to" attend our camp, but is financially pinched, please encourage him/her to apply. Send application by email to [email protected] describing experience and goals in bluegrass, and the nature of the financial need. Skill level is not as big a factor as interest in learning and economic limitations. Veterans and youngsters given extra consideration. Deadline for applications is May 12, with all applicants notified by the following week. Want to know more about the Silver Bay instructors? Here they are in concert.